Born in a South Africa divided by racism and hatred, little six-year-old Peekay learns that small can beat big. Armed with this knowledge, he resolves to take on the injustices of his country, and sets his heart on becoming the welterweight champion of the world. Peekay starts to take boxing lessons, makes new friends, collects cacti, and plays the piano. Above all, he learns to think with his head and then with his heart. Peekay discovers that nothing can defeat the determination to be true to yourself: This is the power of one. From the author of The Power of One comes a new novel about Africa. The time is 1939. White South Africa is a deeply divided nation with many of the Afrikaner people fanatically opposed to the English. The world is also on the brink of war, and South Africa elects to fight for the Allied cause against Germany. Six-year-old Tom Fitzsaxby finds himself in The Boys Farm, an orphanage in a remote town in the high mountains, where the Afrikaners side fiercely with Hitler's Germany. Why You Should Download This Audiobook: Good character dramas are best shared with others, like good wine on special occasions. 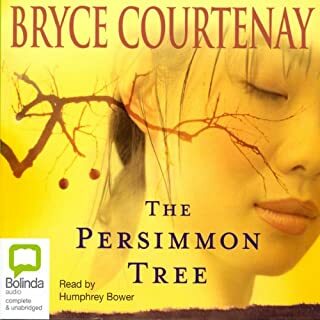 Bryce Courtenay's wonderful story of a child coming of age in a country ripped apart by racism is such a vintage—rich and complex, an experience you'll want to talk about long after the last words are spoken. "First with your head and then with your heart." So says Hoppie Groenewald, boxing champion, to a seven-year-old boy who dreams of being the welterweight champion of the world. For the young Peekay, it is a piece of advice he will carry with him throughout his life. 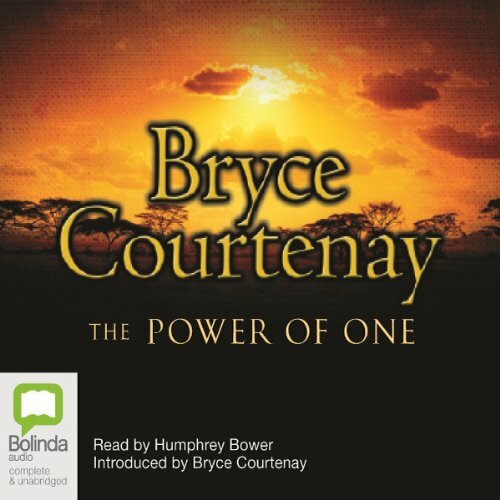 After several listens to books by Bryce Courtenay, it strikes me that this author's books, narrated by Humphrey Bower, represent something of the ideal in mainstream, audiobook fiction. The stories are vivid, well-plotted, with stirring story arcs. The narration is superb, with Bower handling a variety of accents and personalities and sexes in deft and entrancing form. Yes, Peekay's accomplishments strain credulity. But only if you stop to add it up in a dispassionate accounting. Swept along by the story, it is not an issue. He is ruled by a genuine sense of humility that saves the day. The story is marked by great struggles to overcome injustices and stiff odds, some perhaps stereotyped villains and saints, but also nuanced and unique characters to balance it out. There are two early significant characters that I expected might reappear. One, the 'good' one I thought surely should; the other, the 'bad' I thought could. Only one did reappear and it was the latter. I was surprised it was not both. This is not the kind of story to worry too much about convenient twists and turns. The German character Doc is wonderful, especially the way that Bowers brings him to life. I never tired of his superlative 'absodoodle'. On occasion it brought tears to my eyes. Of all the audiobooks I have listened to in the past ten years, only the Courtenay/Bower combination has done that - and consistently. I have been an audible customer for years and listened to hundreds of books. None touched me like this one. This is my first Courtenay book and I've since bought up all his books. The narrator is wonderful in bringing the characters to life. I didn't want the story to end. In fact, I hope these's a sequel in the works. Read it many years ago and never forgot it! I read this book many, many years ago when it was first published; I never forgot this book. It was one of the most powerful books I had ever read. 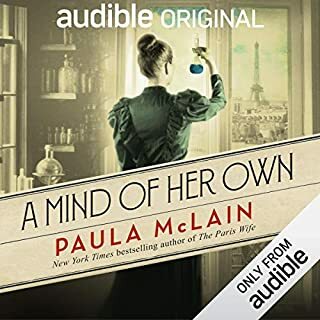 When I saw the title on Audible, I ordered it...listened and loved the story all over again. I had not realized there was a sequel, Tandia, so I ordered that also. These books will stay with you forever. I have now listened, through Audible, to everything Bryce Courtenay wrote. Humphrey Bower narrates every novel of Courtenay and he is, by far, the best narrator I have ever heard! The Power of One is inspirational and so is its sequel. These books empower all who read or listen to become better human beings. That is the highest praise I could offer. 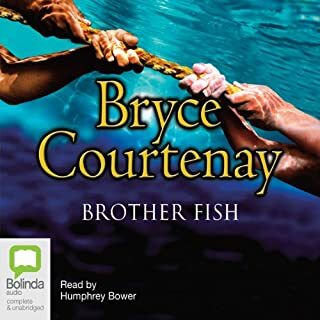 I recommend all of the Bryce Courtenay books Audible carries...are there any more? Others have praised this praise-worthy novel. I wish to call attention to Humphrey Bower's reading. It really is superb. He captures a variety of accents and voices, and always with the right emotion. He pronounces words native to Zulu, Africaans, German, Latin and English without missing a beat. This triumph of a book deserved an equally good reader, and it got it in Bower. I was looking for books related to boxing, and ran across this one. With a name like "The Power of One" I was afraid this was going to be a sappy, motivational tale ala "The Peaceful Warrior". After reading several favorable reviews however, I decided to give it a shot. First off, the narrator is superb, and, at least to an American who doesn't know any South Africans, seemed to capture the varied dialects of South Africa wonderfully. The story itself doesn't fall into the trap of attempting to be inspirational, and has enough grit and action to keep things interesting. My only complaint would be that the protagonist and some of the "good guys" he meets along the way are a bit, as the author states in the introduction, "larger than life". They make very few errors and primarily make almost unbelievably modern moral decisions in a largely immoral society. But there is enough depth in the characters to keep things interesting. This was a great story with excellent narration. I had a paper copy for years but did not get past the first few chapters - the audio version I crammed into every free moment over four days. 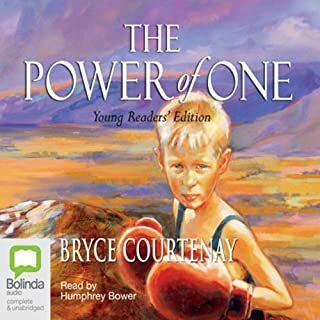 I enjoyed it even though "coming of age stories" are not my usual picks and I abhor boxing (several matches are described in detail).My main motivation for reading "Power of One" was its presentation of historical background to racial strife in S. Africa. That aspect is very well done in one sense, but in another sense , it is just one more tale of a white man hero among the Black masses, and I wonder how Black South Africans evaluate the book. The author's self-deprecating introduction to the audiobook mitigates this "great white hero" aspect, though, as he explains that he wrote the novel as a exercise to learn the craft of writing and hadn't planned to submit the manuscript. In the process he expanded the "power" of the PK character, who is based on the author. Despite my criticism, I'm very glad he did publish, and I will download more of his work and read up on his life. 11 out of 10, Absolutal Vunderbar! Amazing story of a boy's growing up in circa WWII South Africa. The remarkable characters he meets along the way and his remarkable response to them and the events of his life will stay with me my entire life. When I read the reviews, deciding on whether to make this choice or not, I was hesitant. More often than not, narrowly reviewed titles on Audible with overwhelmingly positive reviews are indicative of a nearly cult-like philosophy. I took the plunge, and am delighted. No particular view is espoused or eschewed. The author is merely a fantastic storyteller. I will be coming back to him again. The length of this novel is wonderful; I only wish the story could have gone on about 100 more hours. The narrator is top-notch as well. The title of this review is a bastardization of the German-English spoken by one of the central characters, Doc. As I am limited to only one language, I hope my comment is not too offensive. STOP! don't watch the movie. Although I truly enjoyed the film (with the same title) it is the worst adaption of a book I have ever seen. Now I say this after watching the movie about a dozen or more times and not having read "heard" the book. If you enjoy movies and seek out the book versions like I do, this book will BLOW your mind!!!!!! This book is beyond the common trimuph over of adversity. Please take the time to enjoy this novel. It is even worth not waiting for credits to become aviable before you add it to your library. I bought this solely on the reviews of others and wasn't disappointed. My husband listened to it after me upon my persisting and despite the fact we rarely like the same books, he enjoyed it as much as I did. The narrator does an excellent job with the voices and accents and one of docs. phrases has become a bit of a family joke (we live in Germany). I listed to Brother Fish before discovering that Tandia is the sequel to The Power of One. Those books were also very enjoyable, but the Power of One is one of those special stories with characters that remain a part of you long after you've read or in this case heard the last page. This story is gripping! I had to turn it off to get some sleep. This is my first Courtenay book but I intend on buying more!! Humphrey Bower is an amazing reader! I felt drawn into the story. His voice brings every single character to life! Amazing!! Truly, you will not be disappointed...(were there enough exclamations?) !!!!!!!!!! I first read this book when I was 20, some 16 years ago. It was a powerful read then and I have really enjoyed the excellent performance of the reader here, who brings the characters to life wonderfully. I have listened to hundrends of spoken books, and this is in my top five! I bought this book on the recommendation of my brother and I am so glad I did. It moved me to tears on several occasions and I became totally hooked and have spent the last few days with my iPod permanently attached! I'm only sad that I've finished it as I enjoyed it so much. The reader is brilliant and really gets the accents right. I can't wait now for my next book as I've decided to work my way through Bryce Courtenay's entire list. FANTASTIC! Would you listen to The Power of One again? Why? I have the dvd,book but now kindle version (as people whom I lent the book to pinched it) and the audio version as it is a great story that gives you various emotions whilst watching/reading or listening to the story and this version is very well read that my wife keeps asking about my expression or why I am laughing. This is easily in my top 3 books and would certainly recommend you give it a try. Peekay because his life is well written and you do really get into the character and wonder what is going to happen next. I like the expression in his voice as really brings some parts to live where as some other audio books just sound like its a computerised voice and boring. When I had the book, I had lent it to a number of people to try and each person enjoyed the book and one person so much they pinched it :( so I bought the kindle version and now tried audible and have this version. This is well narrated and its simple story-line makes it an easy listen in some respects. But the hero, apparently supposed to be based on the author's early life (?! ), can do no wrong so any sense of reality is kept at arm's length. The emphasis of all the action is of the hero suffering and/or observing gross abuse ranging from vicious childhood bullying to aspects of living in the racist police state of South Africa (late 1930s - 1950s in this book). It was a scary place to live and some of the horrors are simply used as a vehicle for the hero's personal voyage and development, rather than giving any real insight. Not necessarily a bad thing for a piece of entertainment, but so much less than the book's many fans had led me to expect. A prolific author in his late years, for my taste he went on to write much better novels than this, his first and still best-known. I will certainly be listening to more from Bryce Courtenay! Fantastic read. I have really enjoyed this book. Narrator did the great job. Recommend this book for Must buy! This is a life story, and although it is fiction, it's very believable, and is drawn from the authors experiences. I really enjoyed it, and it really gives a good view of South African culture in the mid 20th century. It's also a good read without the history if your not interested in that. Reader is great too. This has been one of my all time favourite books. 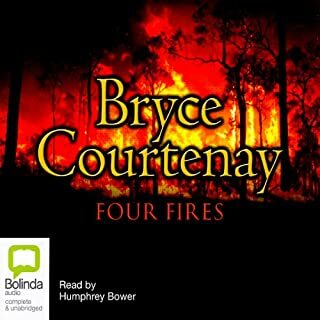 Will look out for more Bryce Courtenay books, through Audible. He is an amazing writer. Well written gripping moving and it really makes you feel like you are there with PK living the struggles he has to face through his life. well worth the listen and brilliant read. My favourite book of all time. A brilliant and nostalgic peace of work almost poetic at times well worth the listen and exceptionally well narrated. Love this book. Have listened to it more than once and no doubt will listen again. Wonderfully written and read. The narrator was absolutely fantastic. 11/10 for him, his 'voices' and accents added so much to the story. This is honestly the best book I’ve come across. Do not hesitate. Even the foreword has had my head spinning for days. the movie makes a mockery of this exquisite fable. just beautiful. never has a story been more relevant and a message more needed. first with the head, then with the heart. Good book , excellent audiobook! It was a very good story and with Humphrey Bower's outstanding performance I felt each scene. 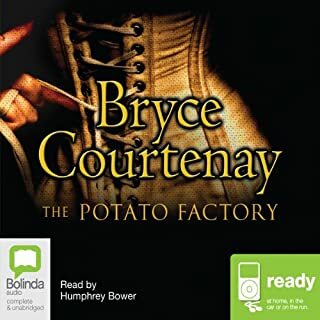 After listening to The Potato Factory series, Humphrey's wonderful narration encouraged me to go through more audiobooks of Bryce Courtenay. Love the story puts me through all the emotions will continue to be my fav book have read it more times than I can remember but listening was better especially knowing the right pronouncements of the names and places in the book. With 19 minutes to go I bought another audio book and listened to it in its entirety first as I just didn't want this to end. Then I listened to that in hand a day, so I could get back to this. Powerful stories, well crafted language, and an inspiration that will never leave me as I too shall see the power of one. First with the head, then with the heart. i liked it. i want more story. good way to spend time driving to and from work!